Minimalism, Elegant, and Good user-experience are the qualities of a website that many designers aims for when developing a website for a church or religious group. Some churches don’t truly pay so much attention to the value of a website in reaching out to people and its ability to create a virtual community for their followers. So, to make the church administrators realize that getting a custom-made WordPress theme could help them build a decent and reliable website for their church that will accommodate the personal and spiritual needs of their members and followers. 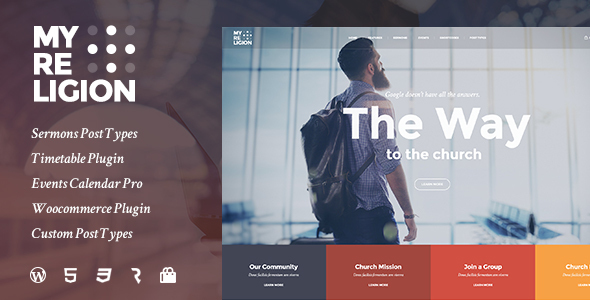 These 5+ Church & Events WordPress Themes will keep your visitors informed about upcoming events, donation options, church services and other important news happening in your organization. 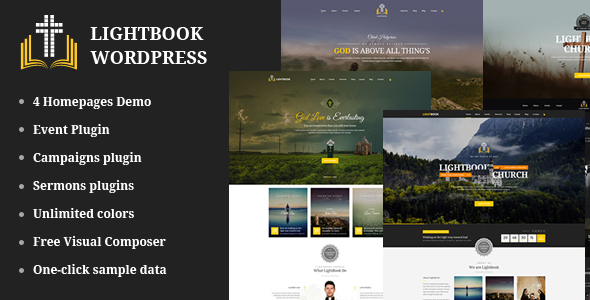 LightBook – Church and Events WordPress Theme, has full functionality that a WordPress church theme should have. With extended plugins for Event, Donations, and WooCommerce, LightBook allows you to build a Church, raise donations as well as manage events efficiently. It is also suited for website related to Church, Charity, Events and Non-Profit and Religious organizations. 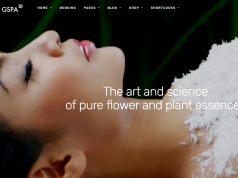 Your users will immediately feel the professionalism and the overall trust that the website gives. 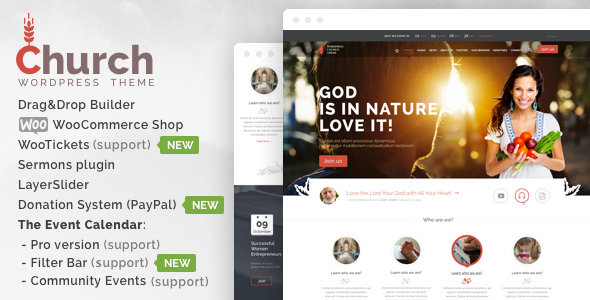 MyReligion Church & Events WordPress Theme is a perfect theme for traditional and modern churches and religious organizations, church events and other community events, church donations, etc. This church theme has all the needed functionality for churches. 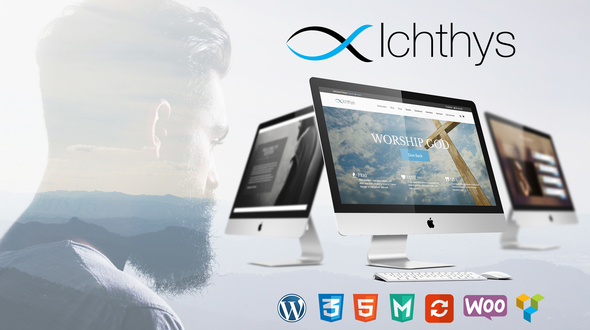 Ichthys – Church & Event WordPress Theme is the best theme with all the religious organizations and traditions followed in a Church, Church Events, Religious Donations, Sermon and Charity. 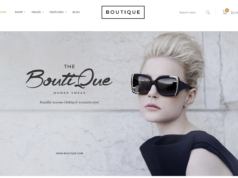 Using this theme you will take your website to the next level within a minute and without writing a single line of code. 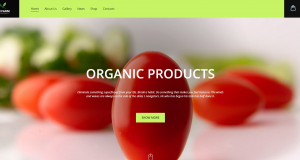 Lots of Contents & Predefined templates are just a small part of compatibilities offered. 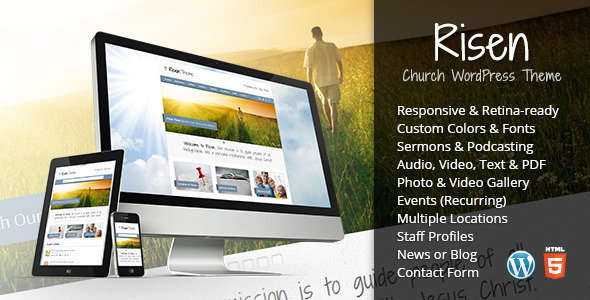 Risen is a Church & Events WordPress theme which has the features a church website needs like a mobile-friendly responsive design, sermon archive, photo and video gallery, church events, support for multiple locations, and church news. The sermon archive is complete with the ability for visitors to search for audio, video and text sermons by category, tag, date and speaker. Sermon podcasting is built-in. Risen has a Retina-ready design and powerful customization options that make it easy to change the theme’s colors, fonts, and background. Blessing Church & Events WordPress Theme is built to serve the church, charity and prayer group institutions. It also perfectly fits many business branches. The main feature, what is extremely important and super useful, lies in including of two applications here: Events Calendar and Mail Subscriber. It also offers you the great combination of functionality, good-looking, well-structure and usefulness. Church and Event WordPress Theme is suitable for users with zero programming skills as well as advanced developers. 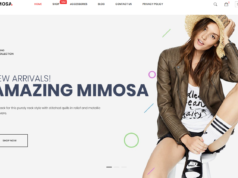 The theme is built for churches and events but it is also suitable for any kind of website – conference, environmental, charity, law, agency, hosting, nonprofit, gym, medical, parallax, political, activist, cause, one page, business, spa, and shop. It supports The Event Calendar Pro, Filter Bar, WooTickets and Community Events add-ons.